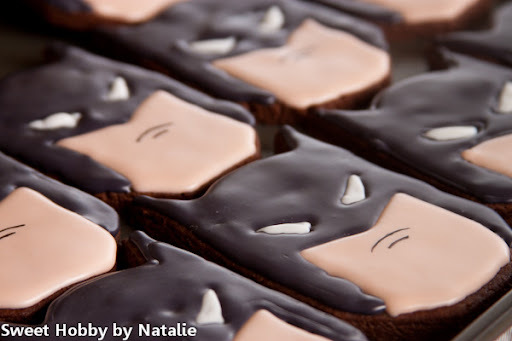 Sweet Shop Natalie: Holy Batman! 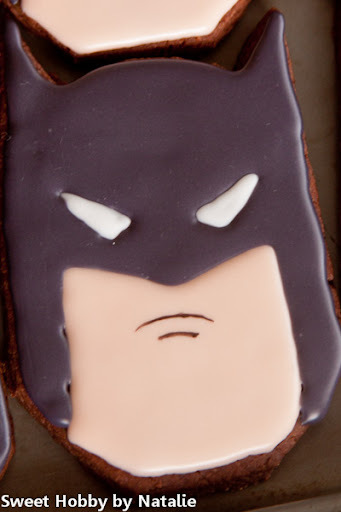 Some Batman cookies I made for my friend sons birthday party. I printed out a coloring page made a template out of a plastic lid cut them and here is the Dark Knight!